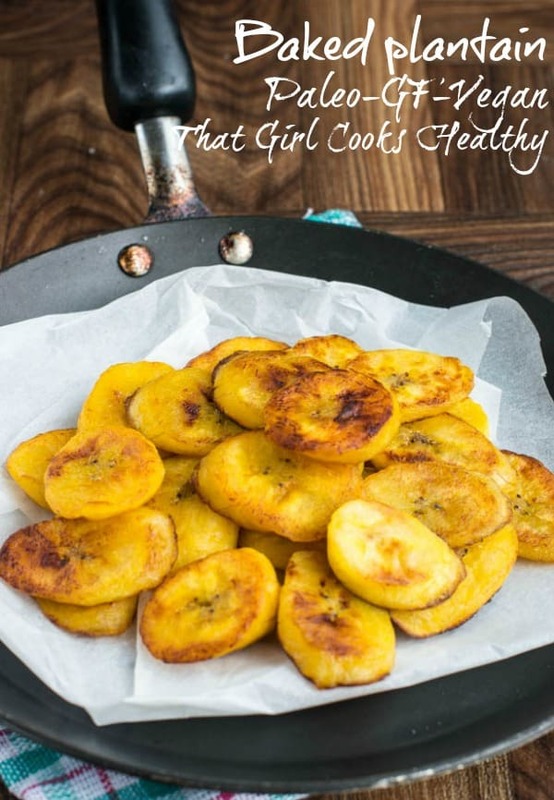 Oven baked sweet plantain recipe – make plantains so much healthier by baking them in the oven to perfection so sweet and crispy. Baked plantain seems to be the talk of the health community these days and trust me they have good reason to discuss this wonderful vegetable (well….it’s technically a fruit classified as a veg). Growing up in a Caribbean household it would be a sin not to consume them. It was parity to rice, where not a week would go by without us incorporating it into our diet. Gran gran would often fry some as a treat for me when I was little, my preferred method. I didn’t like when she would boil it with what we called ‘ground provisions’ . In case you’re wondering, ground provision are tuber vegetables like cassava/yuca, yam, dasheen. In other words, they’re a local term for crop that’s cultivated from the ground. We didn’t do much experimenting with plantain back in the day, simply boil or fry it, I know it’s sounds boring right? Well now that I’m a blogger and tapping into my cultural roots I believe it’s time that I began to experiment with some plantain and start creating some heavenly food plus I’m competing with the paleo crew. 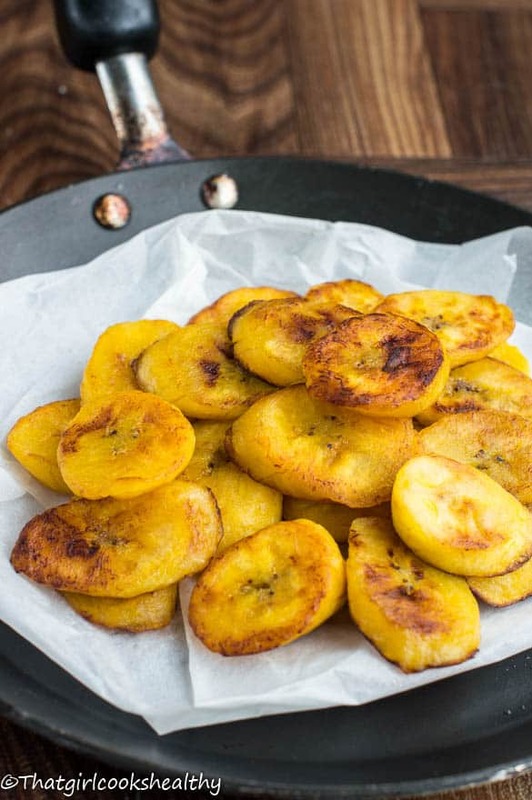 This baked plantain recipe might seem underwhelming but there’s a slight twist on a classical method of cooking plantain. You see I have this major fear of deep fried food, I see it and cringe. I start to envision the oil slowly hardening in my arteries, an extreme description but a little honesty is good right? 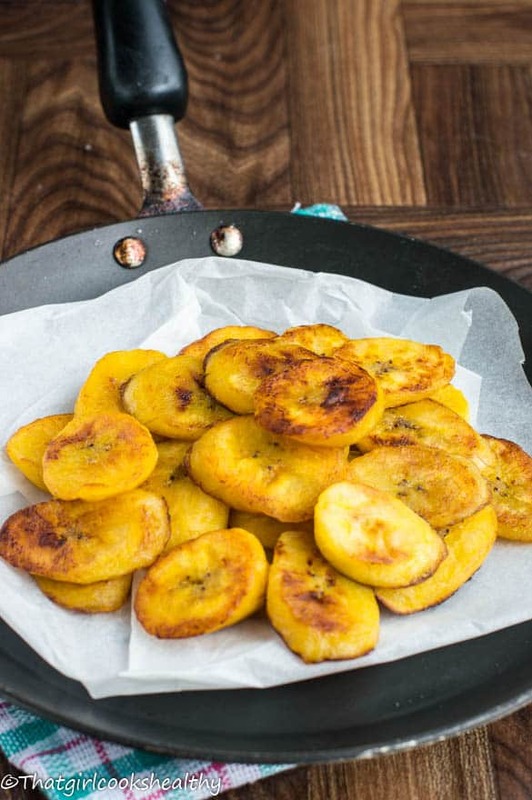 Although my loved ones never deep fried I want to move away from frying where possible, so this plantain recipe is cooked in the oven instead. It takes a little longer to cook but it’s so much healthier and is incredibly easy to do. Parchment paper – You will need some parchment paper to prevent the plantain from sticking, some oil is used, coconut oil is amazing and it’s ability to cook at a high smoke point renders it a recommended oil to use in the kitchen. Cut into your preferred shape – I prefer to cut them into diagonal shaped discs. It’s easier to maneuver and minimalistic too, so give that a try. How long does baking plantain take in the oven? Cooking time is up to 30 minutes, approximately 15 minutes on each side, depending your desire texture, thickness and hue. The more oil used the less crispy. A small quantity of oil is required only to brush over each disc to assist with the cooking process. 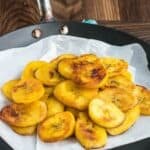 What can I serve baked plantain with? Use a paring knife to remove the skin from the plantain(s). The easiest way to do that is to cut each end and run the knife less than an inch length ways, so you’re left with a horizontal line, peel back the skin and discard. Now cut the plantain(s) into diagonal shaped discs and brush each side with some oil. Arrange the discs on a baking tray lined with parchment paper. Bake in the oven for roughly 30 minutes until slightly brown or golden. Don’t forget to turn over half way through. Once cooked remove from oven and serve accordingly.